The Rock Bells 2012 Mixtape is officially here and it brought along the anthem to end all anthems. Hosted by DJ Muggs of Cypress Hill fame and Supernatural, the mixtape offers up a rhyme-fest of sorts that could only be deemed the “Rock The Bells Anthem”. Featuring verses from KRS-One, Supernatural, Murs, Sick Jacken, Chali 2na, Tech N9ne, and Everlast, the track challenges seven Rock The Bells alumni to bring their best in a superstar homage to hip hop. The brand new tape also features exclusives from Atmosphere, DMX, RZA, Xzibit, Murs, and many more. 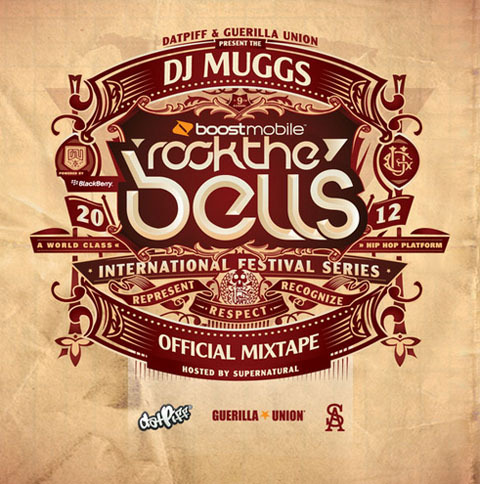 Relive Tech N9ne’s outing on the Rock The Bells 2009 Tour and celebrate real hip hop with the official Rock The Bells 2012 Mixtape! What did you think of Tech N9ne’s verse on “Rock The Bells Anthem”? Are you headed to Rock The Bells this year?